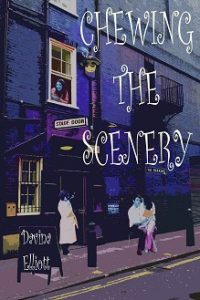 We now have five theatrical books – three novels by Davina Elliott, the Judith Gold Trilogy, plus a short story spin off, and a handbook for drama groups by Mary Hasbury. Legendary leading lady, Judith Gold, is at loggerheads with avant-garde theatre director Alexander Columbus on a West End production of the ghostly comedy Blithe Spirit. Judith considers he is ruining an excellent play, an opinion shared by fellow cast members, movie star Rupert Blake and his possessive real life wife, the glamorous though selfish, Miranda Flynn. Alexander believes he has the ambitious young Scarlett Montgomery on his side, in addition to Echo, the vacuous American ex-beauty queen, who has virtually no theatre experience and even less talent. 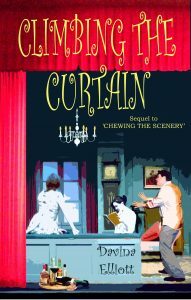 Isabelle Whiteside is only interested in whoever delivers the best gossip, while Adam Lane merely prays to overcome his chronic stage fright. Judith Gold, grande dame of the British theatre, has chosen her latest venture – a stage adaptation of the classic film All About Eve, written to her specifications. Resolving to have complete control, she informs producer Wesley Bartlett that she will select both creative team and cast. The result is a spineless director and the perfect acting ensemble, including movie star Rupert Blake. 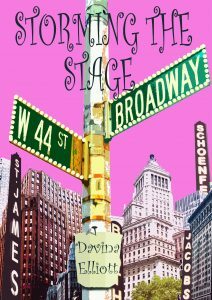 “Losing her gloves yesterday and her notes today – don’t tell me our so-called star is losing her marbles too,” Digby sneered, as he took his coat off and grandly handed it to the stage manager to hang up. 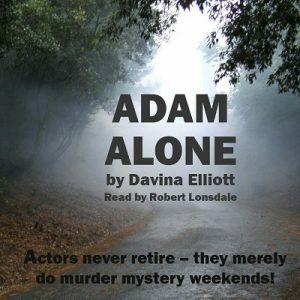 Adam Lane’s acting career is not going as planned; his agent has palmed him off on her irritatingly perky assistant and the only role on offer is as a dead body for a murder mystery weekend company. A chance re-encounter with vain, glamorous and self-obsessed actress Miranda Flynn sparks off a chain of events which could change Adam’s career for ever – if only his agent wouldn’t keep trying to ruin it. And if Judith Gold could get him Daniel Radcliffe’s autograph. The difference between ‘pace’ and ‘tempo’? What is meant by ‘attack’? How to draw up a rehearsal schedule? 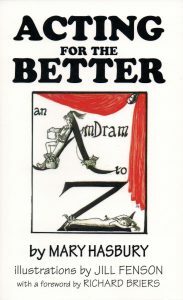 These and other thespian mysteries can be solved in this handbook for drama groups which covers subjects from Acting to Zest.